Joe Dzuback is the RTC correspondent for the Atlantic 10 Conference and a regular contributor. You can also find his musings online at Villanova by the Numbers or on Twitter @vtbnblog. This could not be the team Buzz Williams envisioned would play this season as the 2012-13 wound down last April. That team had a backcourt rotation that included All-Conference First Team guard Vander Blue, junior Todd Mayo, a solid backup point guard in junior Derrick Wilson and a pair of promising freshmen, Duane Wilson and JaJuan Johnson, who would be allowed to ease into the system as they logged a minute here and there. Redshirt senior Jake Thomas and freshman John Dawson would hold down the end of the bench and wait. The always important wing and front court spots would go to a rotation of junior Jamil Wilson, All-American JuCo Jameel McKay, sophomore Steve Taylor (rehabbing from off season surgery) and junior Juan Anderson (who explored a transfer before returning to the team in late April). Sometimes it is OK to choose an arbitrary date in the college basketball recruiting process and take stock of things, using our Big East goggles of course. That said, this date really isn’t all that arbitrary. Most of the top basketball recruits in the Class of 2013 signed National Letters of Intent last week . Rather than break down and rank the Big East recruiting classes from top to bottom — which the guys at recruiting sites do much better than we would anyway — we figured to have some fun and bring you back to high school for some good old-fashioned superlatives. Again, we recognize the Big East is breaking up, but we are still looking back rather than forward. In the always useless world of recruiting rankings, most experts have recruiting classes at Louisville and Syracuse ranked ahead of Marquette’s class, but that shouldn’t keep Williams from receiving the praise he is due. Williams hangs his hat on his program’s ability to develop talent, not in recruiting superstars, but this class could easily be his most ballyhooed yet. Of course it helps Williams look good when much of the talent is in the same city as the school, but he still had to beat out a number of high-major programs for those kids. Duane Wilson is a local point guard with size who may earn the first crack at replacing Junior Cadougan and fellow local product Deonte Burton is a physical and athletic wing who will rebound and defend. The third local product by way of junior college in Iowa is 6’8″ forward Jameel McKay who has everyone excited about his athleticism, rebounding, and motor. The real prize for the Golden Eagles is slashing guard JaJuan Johnson who Williams and his staff plucked out of Memphis’ backyard despite an offer from the Tigers. Everyone in the Southeast recruited the attacking guard who may be asked to step in immediately and replace some of Vander Blue’s now-missing production. #3 Marquette vs. #4 Syracuse — East Regional Final (at Washington, D.C.) — 4:30 pm ET on CBS. Big East fans will be treated to one final conference game so to speak (unless the winner of this game meets Louisville for the national title) this evening in Washington. Despite being the lower seed, Syracuse enters the east regional final as the favorite, a winner in six of its last seven games. The Orange are defending at an unbelievable level and one has to look no further than Thursday’s game against Indiana to see why. The Orange held the Hoosiers to a season-low 50 points on 33.3% shooting in a dominating performance against arguably the best team in the country. Michael Carter-Williams poured in 24 points for the victors, who were never really challenge by Indiana all night. Against Big East foe Marquette, who Syracuse will play for the final time as a member of the conference, the Orange figure to be just as imposing defensively. Marquette is a team that gets a huge percentage of its points in the paint and from the free throw line. 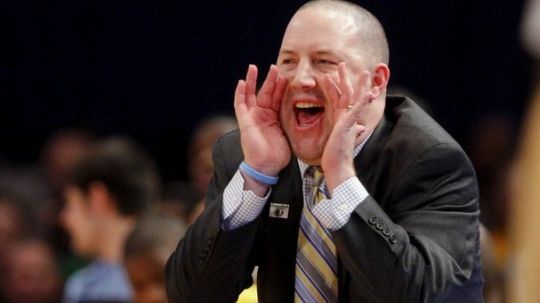 Can Buzz Williams Get Marquette Back To The Final Four? When these two teams met in their only regular season meeting on February 25 in Milwaukee, Marquette was able to come away with a three point win thanks to dominance in the paint. The Golden Eagles visited the free throw line 35 times to Syracuse’s 7 and shot 58% inside the three point arc. Davante Gardner led the way with 26 points in that game and will need to come up big for Marquette once again if the Golden Eagles are to advance to the Final Four for the fourth time in school history and only the second time since Al McGuire’s 1977 championship team. Brian Otskey (@botskey) is the NCAA Tournament’s East Region correspondent. The East Regional begins Thursday night in Washington, DC, with Marquette vs. Miami (FL) followed by Indiana vs. Syracuse. Be sure to look out for the West, South and Midwest Regional Resets later today. Also make sure to follow RTCEastRegion for news and analysis from Washington throughout the week. New Favorite: #1 Indiana. Despite a challenge from Temple on Sunday, nothing changes for the Hoosiers. This team remains the prohibitive favorite to get to Atlanta out of this region but will have to get through two teams playing well in order to do that. With Syracuse defending as well as it is and Marquette and Miami staying hot, the road is not as smooth for Indiana as it looked when the brackets came out last week. Horse of Darkness: #3 Marquette. The Golden Eagles nearly lost both of their NCAA Tournament games over the weekend but, as the old adage goes, they survived and advanced. Marquette has limitations but this team is tough as nails and plays with great confidence in pressure situations. A potential Elite Eight match-up with Indiana and former head coach Tom Crean would also serve as extra motivation to push through to Atlanta. Biggest Surprise (1st Weekend): #3 Marquette. It’s hard to pick a surprise in a region that saw all four top seeds advance to Washington but we’ll go with the Golden Eagles. Marquette was a trendy upset pick in the first round and was outplayed by Davidson for 39 of the 40 minutes in that game. Even after escaping Davidson in the round of 64, the Golden Eagles were on the ropes yet again Saturday against Butler. It’s not a surprise that Marquette is playing in the Sweet Sixteen; the surprising thing is the way it got there. Yesterday was the true first day of the NCAA Tournament and overall it was a good one for the four Big East teams that played. Syracuse and Louisville cruised to easy victories and Marquette won the most exciting game in the day, rallying to beat Davidson on a gorgeous left-handed drive by Vander Blue in the last five seconds. Of course Pittsburgh ruined a perfect day for the conference by making exactly one of their 17 three-pointers and turning the ball over 15 times in an 18-point loss to Wichita State. The story for Pitt is getting old at this point. No matter how many times they win 25 games in the regular season, until they actually win a worthwhile NCAA Tournament game, their gaudy records won’t mean anything. It would be one thing if the Shockers had played a clean game themselves, but Wichita State was just 2-of-20 from downtown and turned the ball over 11 times themselves. For Jamie Dixon, that job at Southern California that he shot down oh so casually shot down this week is looking real nice right now, because it seems like the Pitt fans are starting to get fed up. 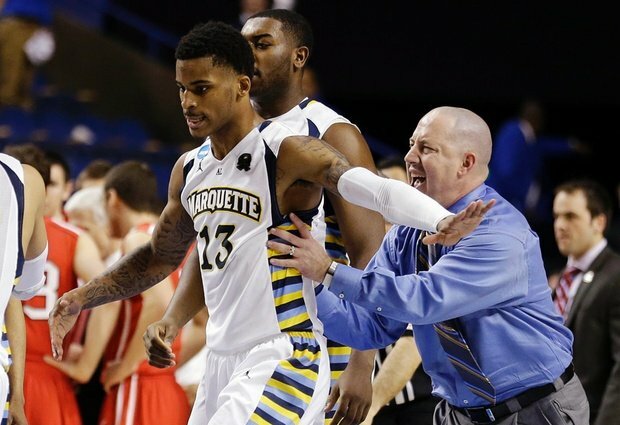 You want to know why Vander Blue is an NBA prospect? 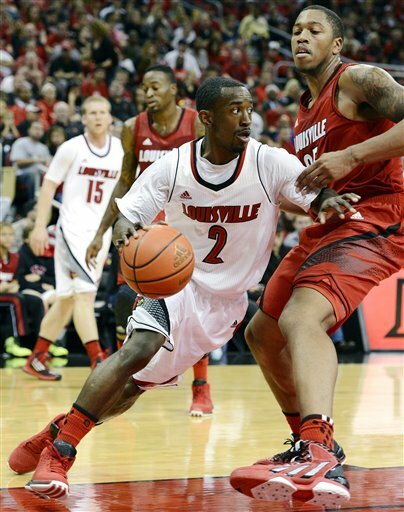 Watch his game-winning layup against Davidson five times, heck I could watch it all day. Too often players settle for long jumpers on last-second plays, Blue on the other hand didn’t hesitate at all, blew past Davidson’s Jake Cohen, and finished smoothly at the rim with his left hand. That was a grown man move with the game on the line. It helped that on a day when the Golden Eagles shot just 34. 5 percent from the field, they hit three improbable three-pointers in a row in the final minute of the game. They weren’t open three-pointers either, they were well-defended, and the man who hit two of them, Jamil Wilson, made just two other field goals on 11 shots up to that point. It was a game that will be hard to top today in terms of excitement, late-game heroics, excitable coaches (what’s up Buzz). But after watching Memphis suffocate and swat down Saint Mary‘s offense, the Golden Eagles will not be able to play that poorly on offense and hope to win in the third round. 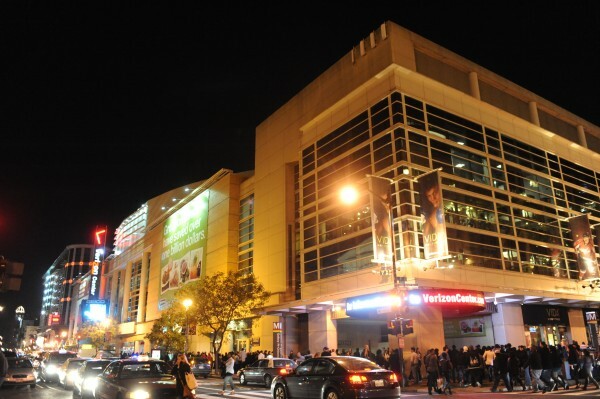 An unintended benefit of having so many games spread out across the country is that occasionally a good story is written that wouldn’t have a news peg if there wasn’t an NCAA Tournament game being played in that city. Such is the case with this piece about Villanova’s experience in the realignment done well by the Kansas City Star. The Wildcats play North Carolina in Kansas City tomorrow and rather than write yet another preview, the Star chose to go back and time and talk with coach Jay Wright about the uncertainty of watching the Big East crumble and the move into a basketball-centric, new Big East conference next season. Things are settled now and that’s good, because the Tar Heels present a stiff challenge. Not unlike Pittsburgh, Villanova is back in the tournament after a disappointing season and they will be looking to prove they belong. The best part about Syracuse’s near-50-point thrashing of Montana other than the near flawless basketball the Orange played was watching CBS Sports analyst Seth Davis act a fool in full-on Syracuse gear. The outfit was Davis manning up after he picked the Grizz to pull of the upset and felt confident to make a bet with Syracuse sports radio hosts, a bet he honored by looking extra-bright on national television. Yesterday I mentioned that another data-based formula showed that Montana was a good candidate to pull of the upset and last night’s beat down was evidence that none of these formulas are bullet-proof. The zone defense and length of the Orange defenders were too much for Montana’s shooters and the game turned into a boat race midway through the first half. Georgetown has had less obvious and publicized recent struggles in the NCAA Tournament than Pittsburgh but the Hoyas and coach John Thompson III could use a deep NCAA Tournament run this season to assuage some of the concerns that have crept out of nowhere since the team’s trip to the Final Four. For whatever reason, Florida Gulf Coast has seen a groundswell of support and most of it is seemingly coming from people who have never seen them play. They have a win over Miami and they definitely have an argument about receiving just a No.15 seed given their resume and talent. But they also haven’t seen a defense as long and athletic as Georgetown’s and just as Montana found out today against a hungry Syracuse team, the Eagles are going to quickly learn how hard it can be to score against a premier Big East defense.